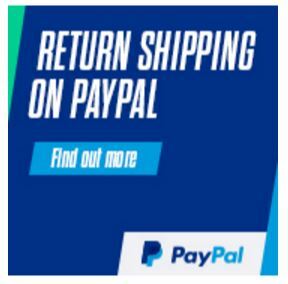 You save £9.20 that's 58% off! 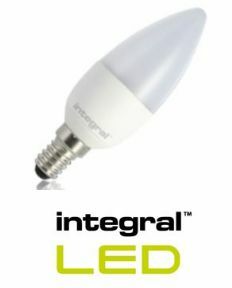 This is the latest version of our previous candle bulb from Integral that is now more efficient operating at 3.5 Watts compared to 4 Watts and and increased beam angle., now 280 degrees. 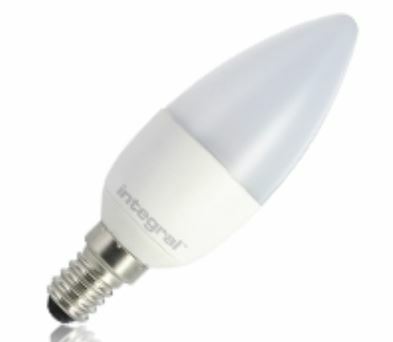 This premium 3.5W retro-fit Integral LED Candle (frosted finish, small screw, white base) delivers a warm white light (2700K) and brightness, similar to a 25W - 40W filament incandescent bulb. Although packaged as a 25W replacement after internal testing in most situations this would be suitable as 40W halogen replacment. 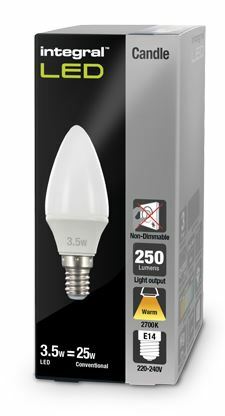 With instant on technology meaning there is no warm up time and a massive 280 degree beam angle this an ideal LED equivalent to many tradtional candle bulbs. It features high output, multi OSRAM LEDs, and anti-glare refractor, all finished in a diecast aluminium, thermally efficient body. Ideal for living rooms, dining rooms, bedrooms and hotels, in classic or modern wall or floor/table lamp fittings and chandeliers.